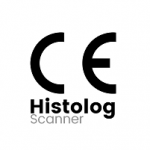 SamanTree Medical has developed the Histolog Scanner for visualization of whole surface of a fresh resection. Our solution provides surgeons with full margin control in minutes before incision closing, with histology-grade confidence. This approach carries large promises in breast conserving surgery, to preserve healthy tissue while ensuring complete tumor removal.